The Lord Opposes Extramarital Affairs Leaving behind a hurting husband and weeping children, Hosea’s wife Gomer returned to her promiscuous lifestyle. Some old friends must have congratulated her for being courageous enough to walk out of such an old-fashioned monogamous relationship. In her self-centeredness, Gomer forgot that she formed part of a family for which the Lord had special designs. How does God view those who ignore their marriage vows and set out on a more exciting adventure? In response to Gomer’s choice, the Lord said: “Their mother has been unfaithful ... Therefore I will block her path with thornbushes; I will wall her in so that she cannot find her way. She will chase after her lovers but not catch them; she will look for them but not find them” (2:5-7). We cannot expect the Lord’s hand of blessing on a path of disobedience. Within marriage the Lord blesses sexual expression, but outside marriage He strongly opposes it. In the Ten Commandments, marital unfaithfulness is condemned twice (Ex. 20:14,17). Under the Law, infidelity was a serious crime: “The adulterer and the adulteress must be put to death” (Lev. 20:10). It is no surprise then, to find the Lord hindering Gomer’s progress. She expected to be happy with her lovers, but her joy soon turned to frustration. She became confused – she could no longer find her way (2:6). The Lord reduced her sexual appeal – her lovers were no longer interested in her (2:7). She was viewed as unclean and impure (2:10). He opposed her celebrations (2:11) and weakened her finances (2:12). The Lord declared: “I will punish her for the days she burned incense to the Baals; she decked herself with rings and jewelry, and went after her lovers” (2:13). Was God being nasty? No! He led her to the point where she said: “I will go back to my husband as at first, for then I was better off than now” (2:7). Is your partner about to leave you? Pray for a miracle – the Holy Spirit is still active. The Lord can work in the heart of your spouse and also in the surrounding circumstances. We live in a godless society. Because marital unfaithfulness no longer carries social disapproval, many marriages break up in pursuit of fresh alternatives. Could this happen to you? After the Lord Jesus warned against entertaining an adulterous relationship, He added: “If your right eye causes you to sin, gouge it out and throw it away … And if your right hand causes you to sin, cut it off and throw it away. It is better for you to lose one part of your body than for your whole body to go into hell” (Mt. 5:29-30). The message is clear: If we desire the Lord’s blessing on our marriage, we must be radical about what we allow ourselves to look at and touch. Yes, the Lord expects us to “cut off” that which offends. Gomer decided she had suffered enough. She started walking home. What should Hosea do with a wife like Gomer? Should he simply “forgive and forget” and get on with life? With smaller offences this may be possible, but with adultery? Should he wait for Gomer to confess her sin and beg to be received back? Should Gomer be made to suffer before being offered forgiveness? The divine instructions are clear: “As God’s chosen people … clothe yourselves with compassion, kindness, humility, gentleness and patience … and forgive whatever grievances you may have against one another. Forgive as the Lord forgave you” (Col. 3:12-13). Is this too simple? Surprisingly, among Christians the theme of forgiveness generates strong and contrary feelings. In part, this is caused by failing to differentiate between forgiveness and restoration. Forgiveness is a decision. It is an act of grace. We cannot earn it. We shall never deserve it. We must give and receive forgiveness freely as a gift. Once forgiven, we may still live with some consequences of our failure. After forgiveness, restitution may still be necessary. Restoration is a process. If we have been offended, forgiveness depends on our willingness to obey the Lord. Restoration, however, requires constructive cooperation between the offended and the offender. Complete restoration requires repentance, confession and, where possible, restitution. In a matter of days, the Lord may help the offended mate to forgive the unfaithful one. But the restoration of confidence, enough to resume a happy marriage relationship, may take months, even years. It depends on both parties. Forgiveness requires obedience. If in doubt, recall those strong words uttered by our Lord Jesus: “For if you forgive men when they sin against you, your heavenly Father will also forgive you. But if you do not forgive men their sins, your Father will not forgive your sins” (Mt. 6:14-15). Some Bible teachers explain this verse in various ways, but its central message is unarguably clear: the Father wants you and me to forgive; there are no exceptions. If we choose not to, something very serious happens to us. One day Hosea heard that his promiscuous wife had returned. He may have felt like weeping, screaming or even running away. Did he interrogate her to get all the details of her affair? Did he embarrass her before her children? Hosea did not do what his fallen nature urged him to do. She did not receive what she deserved. He did something painful, something he had seen God do: He chose to forgive. Holding back his natural desire to seek revenge, Hosea worked out a plan for the days ahead: “Therefore I am now going to allure her; I will lead her into the desert and speak tenderly to her” (2:14). When Hosea forgave, he was set free from bitterness – free enough to take the initiative, to extend his hand to his estranged wife and initiate reconciliation. Restoration cannot begin without forgiveness. Some Bible scholars suggest that one or two decades elapsed between chapters 1 and 2, because their children were old enough for Hosea to seek their cooperation in avoiding legal action and a possible divorce: “Rebuke your mother, rebuke her, for she is not my wife, and I am not her husband. Let her remove the adulterous look from her face and the unfaithfulness from between her breasts” (2:2). Was Hosea considering a divorce? When Jesus was asked about this difficult matter He replied: “Moses permitted you to divorce your wives because your hearts were hard. But it was not this way from the beginning” (Mt. 19:8). God hates divorce (Mal. 2:15-16), but He well knows the stubbornness of our fallen nature. He knows that we can make such a mess of life that reconciliation can become impossible. Not as a mistake, but as recognition of our human condition, the Lord Jesus added the exception clause: “I tell you that anyone who divorces his wife, except for marital unfaithfulness, and marries another woman commits adultery” (Mt. 19:8-9). Yes, under these terms, Hosea had legal grounds to divorce Gomer. Hosea knew his legal rights but chose to continue fighting for his wife. Because he loved, he set aside the legal system. Hosea, like the Lord Himself, chose to love, to bear the pain, to take the initiative and pursue the capricious sinner. Children have a special place in the heart of a parent, so Hosea pleaded with them to cooperate in saving their marriage – a strategy worth taking note of. Then he set out to “allure her,” that is, to entice her by charm. He would gently “lead her into the desert,” away from the noise of normal life, away from the curious ears and eyes of others – an invitation to reflect and reconsider. 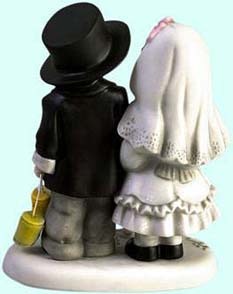 There he would “speak tenderly to her” – that is, to her heart (2:14). How different from an atmosphere of legal proceedings. Did Gomer truly repent? Did she return moved by material considerations alone? (2:7). Here we must be careful. We may have our suspicions, but only the Lord sees the true motive. Hosea responded to Gomer’s willingness to abandon her lovers and return. The degree of remorse and repentance she showed was enough to initiate the process of reconciliation. An important fruit of genuine repentance is to make a definite break with all the lovers involved. Sometimes the price of reconciliation will involve a change of job, local church or a move to another city. As long as some form of contact is maintained, the grieving and healing process is unlikely to succeed. The adulterous relationship must be brought to death and the mourning process must complete its natural cycle. The break must be definite and, in some way, verifiable. The offending and repentant party must be willing to submit to a degree of accountability and supervision. This may be necessary to allow shattered confidence to grow. To help the reconciliation process, Gomer would not even mention the names of her lovers (2:17). Hosea took the initiative again: “There I will give her back her vineyards” – there is now enough confidence to reach some material agreement – “and will make the Valley of Achor a door of hope” (2:15). Achor means “trouble.” In this valley Achan was judged and stoned to death (Josh. 7:26). The fear of punishment, legal action and divorce gave way to hope. A door opened. “There she will sing as in the days of her youth” (2:15). Now some natural expressions of joy begin to return to this relationship. But grace always has surprises. Something more happens: “In that day … you will call me ‘my husband’; you will no longer call me ‘my master’” (2:16). Gomer was used to having masters. She had even seen Hosea as her marriage master. The grace expressed in the reconciliation process led Gomer to love Hosea again. This is the wonder of God’s grace: When He is involved in the reconciliation, He can genuinely restore a relationship, and even lead it to a higher level than before. Hosea’s concluding words to Gomer would make any marriage counselor feel satisfied: “I will betroth you to me forever; I will betroth you in righteousness and justice, in love and compassion. I will betroth you in faithfulness, and you will acknowledge the Lord” (2:19-20). This would be a very happy ending to this story. It is not! A genuine and happy reconciliation is what God desires for every broken relationship, but reconciliation is never an insurance against future marriage difficulties. Next month look for Part 3 of this study of Hosea 1-3.